Check Out This Awesome Rapper Somey Kale From Rajasthan!! Bombay frontman Naezy has not dropped new music in a minute but makes a stunning comeback and drops an to ode to the modern day cricketing legend Virat Kohli. Virat Kohli is currently single-handedly responsible for carrying India into the semi finals. Cricket is India’s passion and one of those few elements which fosters unity in the entire country. He cleverly capitalized on the current form “Kohli” is in and dropped this small tribute freestyle. This is actually for use by Star Sports for their promotional campaign. Naved Shaikh aka Naezy is now becoming an everyday name in Bombay and is doing so without losing his identity. He went in ham in Kohli with his trademark tongue twisting flows and wicked wordplay. The beat is produced by the Indian hit maker ‘Sez’ who yet again delivers quality material. The track is smooth just like Kohli’s drives through the covers, has cracking lyrics similar to Kohli’s aggressive strokes for sixes and catches the listeners ear just like Kohli’s fielding. 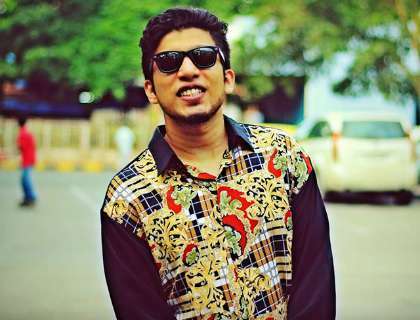 Kohli Rap – Naezy (prod.Sez) KOHLI HAI!